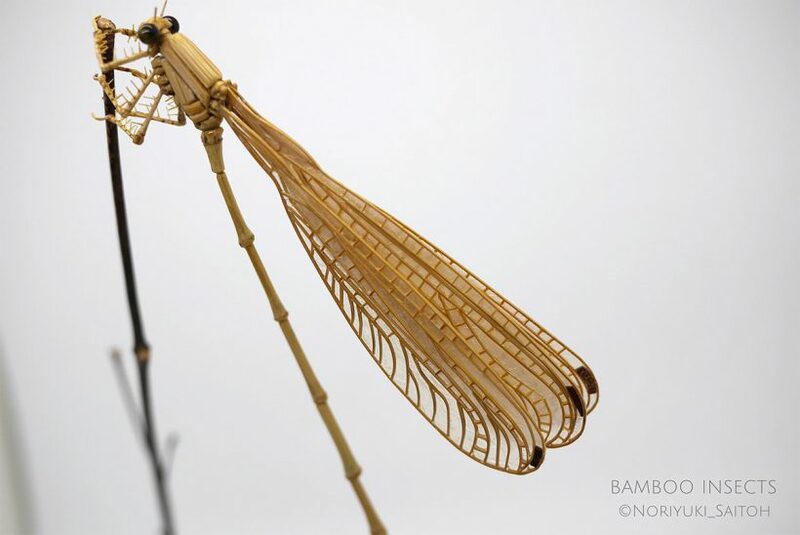 As the fastest growing plant on this planet, bamboo grows extremely quickly, no extra watering, fertilizing, weeding, and has a wide range of end-uses, much better than chopping down trees which take years to grow, which is renowned for being a highly sustainable raw material especially in Asia. 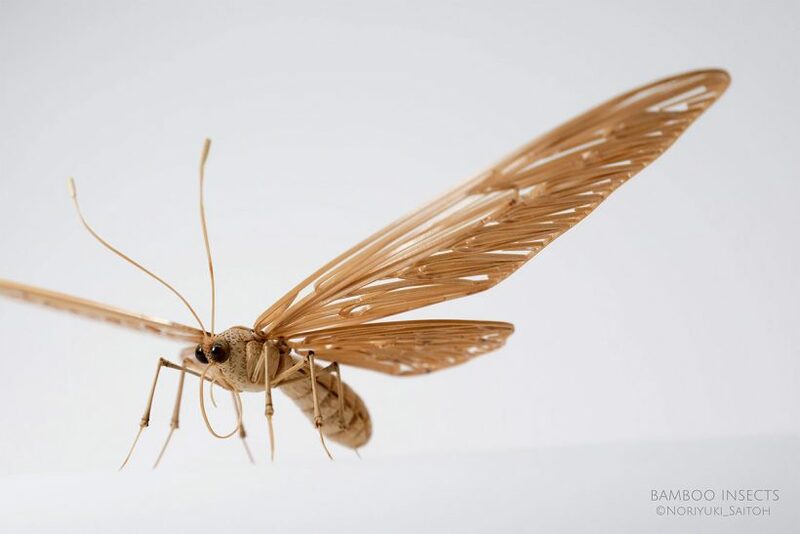 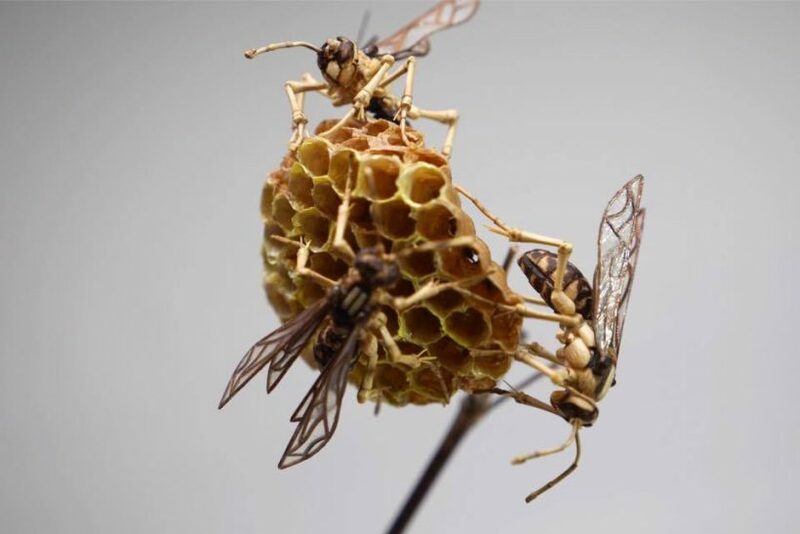 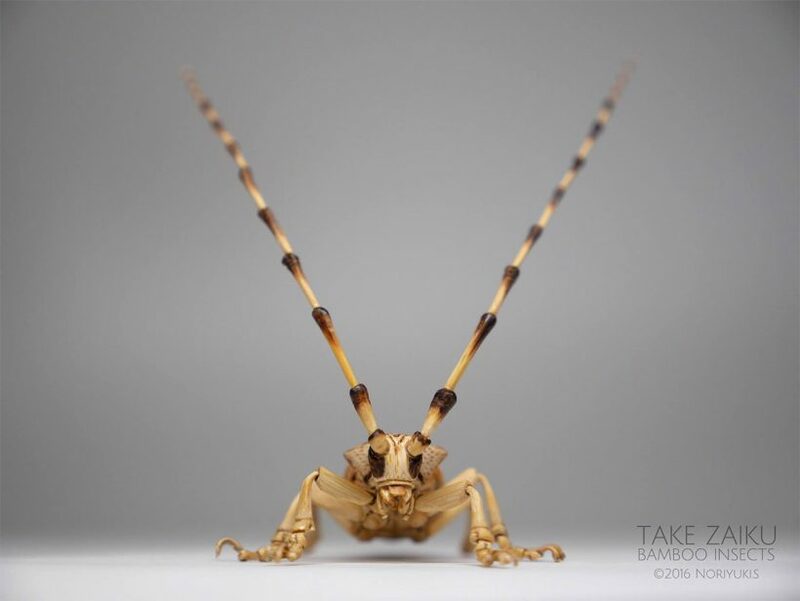 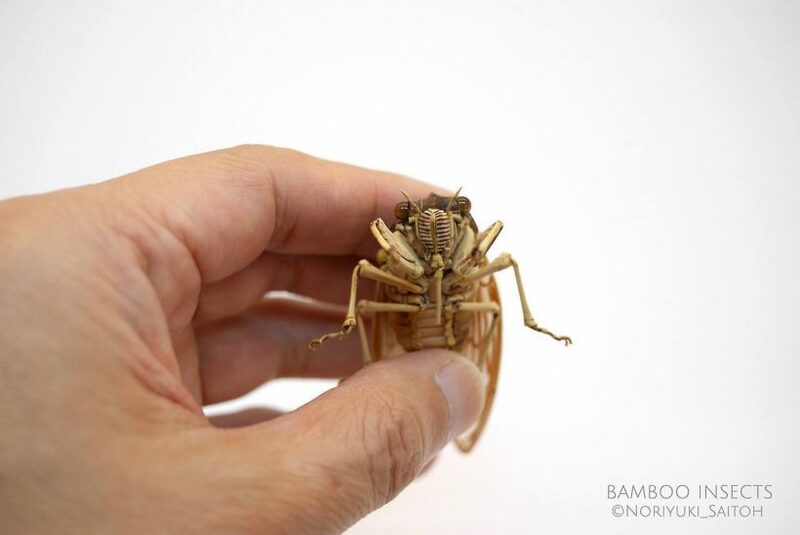 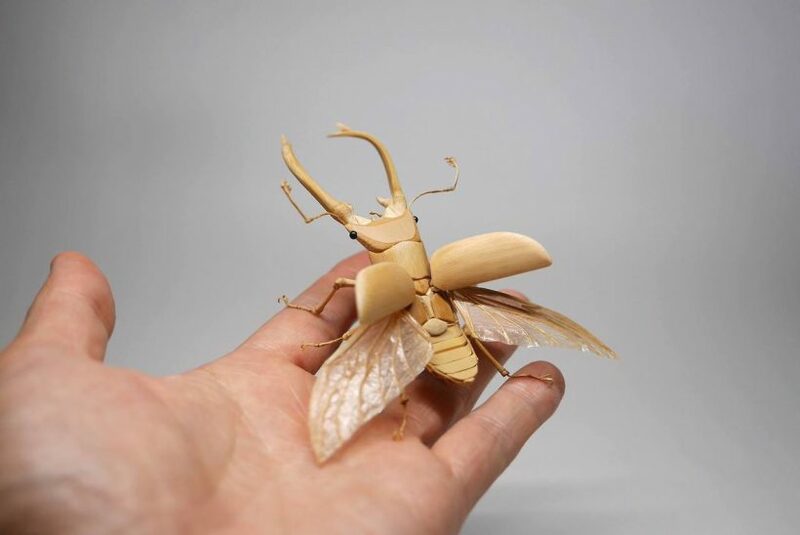 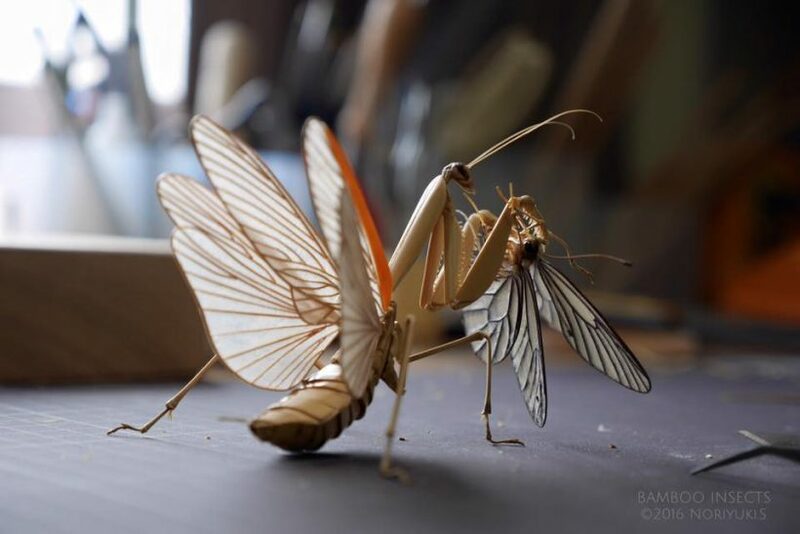 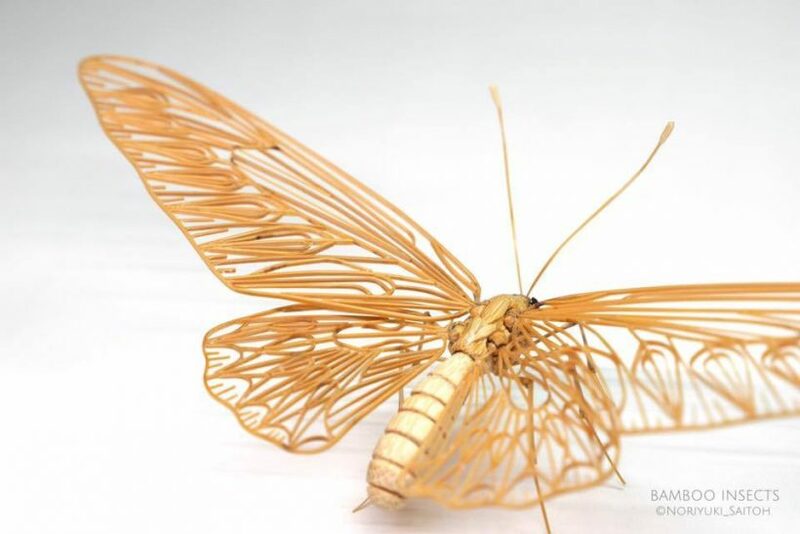 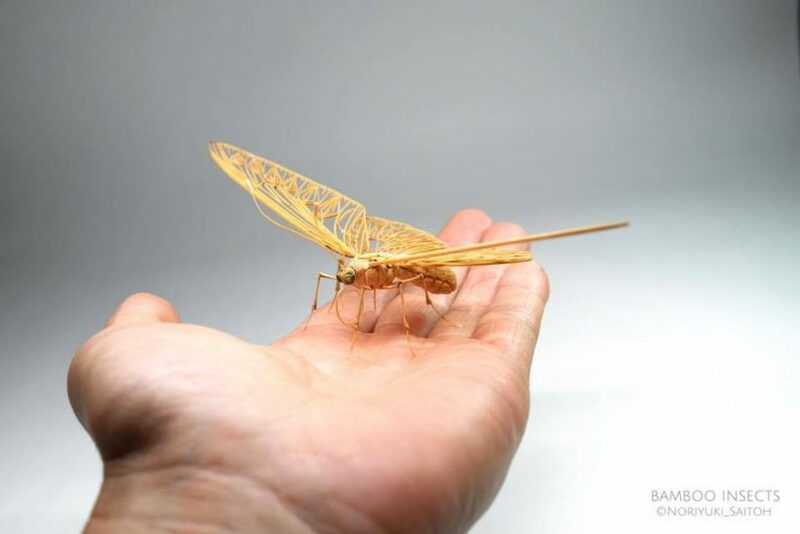 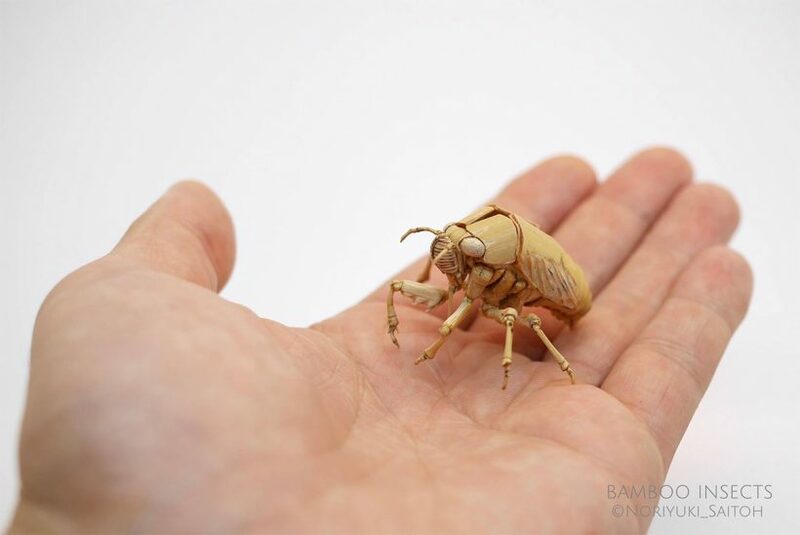 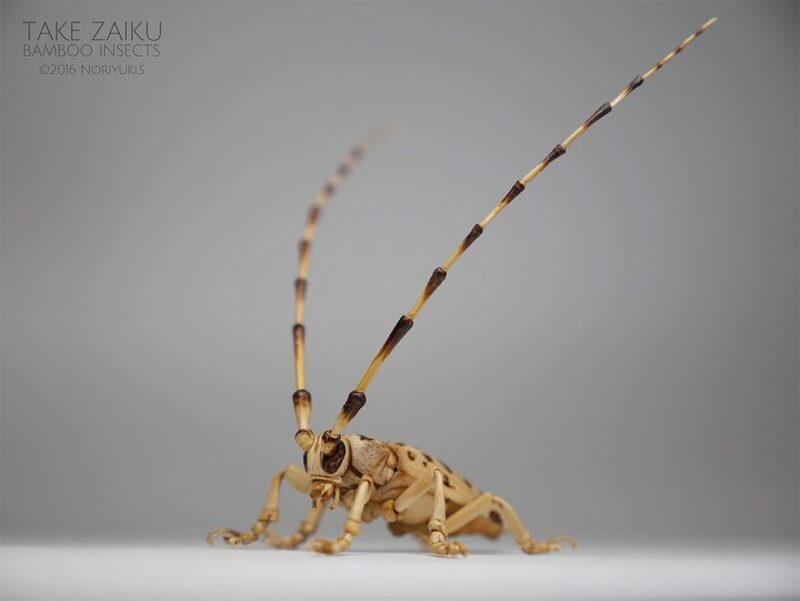 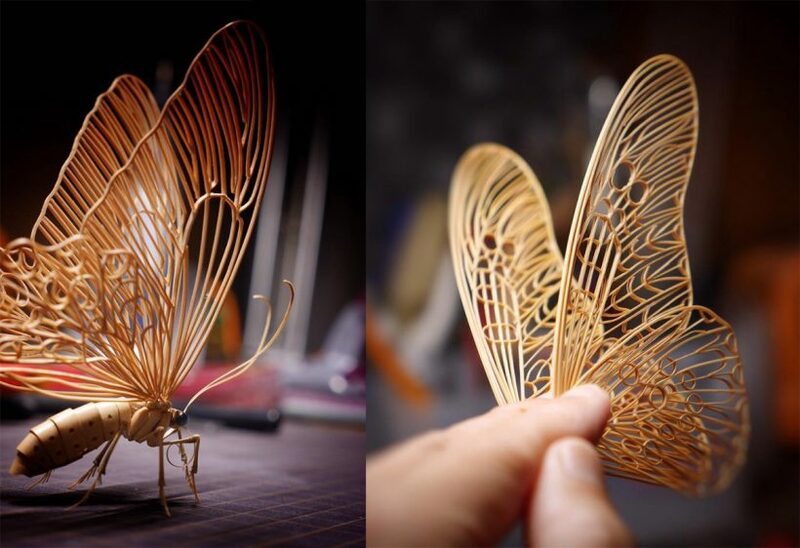 In the field of the arts, Japanese artist Noriyuki Saitoh shows us a new way to utilize the panda’s snack, who uses bamboo to handcraft a series of incredibly realistic insects like mantis, butterfly, cicada, moth, dragonfly, long-horned beetle, wasp, etc. 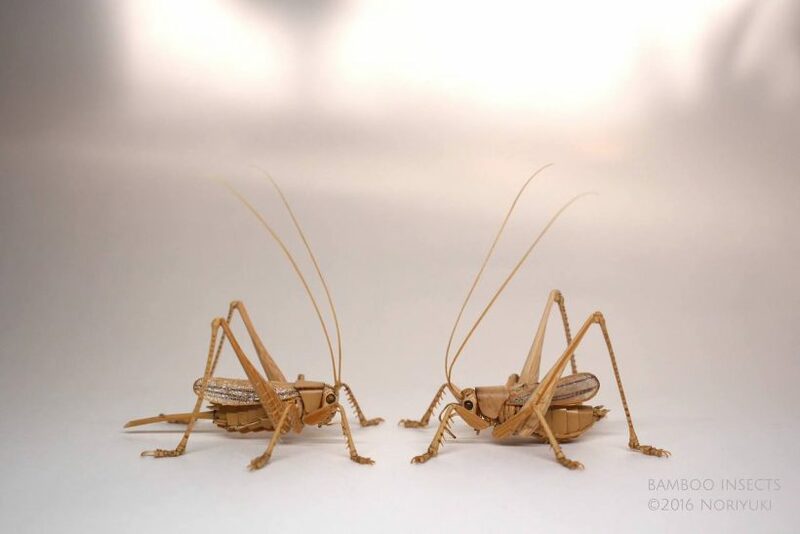 “Since we are not preparing specimens and replicas, we strictly measure the [overall] dimensions and prioritize the appearance, impressions, features, and senses rather than proportions being created exactly…reality as a work is born if you thin out the elements and leave room to imagine.” Says the artist.